As the field continues to evolve, we thought it was the appropriate time to select a name for the journal that better aligns with its content that is focused on both the management and prevention of wounds. HMP, a leader in healthcare events and education, today announced that its premier wound care journal, Ostomy Wound Management, has been renamed Wound Management & Prevention. The name change not only reflects the shift seen in the healthcare industry to a broader focus on all aspects of wound care, but it also matches the journal’s already evolving content covering these expanded topic areas. “As the field continues to evolve, we thought it was the appropriate time to select a name for the journal that better aligns with its content that is focused on both the management and prevention of wounds,” said Jeremy Bowden, Senior Vice President and Publisher. Founded in March of 1980 as Ostomy Management, the small journal dramatically expanded its content and readership within five years by embracing the overlapping disciplines of ostomy care, wound care, incontinence care, and related skin and nutritional issues. It quickly became the premier journal of its kind. Readers of both the print and digital formats include more than 25,000 health care professionals from multiple disciplines, including nurses at all levels of practice, physical therapists, dietitians, physicians and researchers. Articles published in Wound Management & Prevention will continue to ascribe to policies outlined by the International Committee of Medical Journal Editors, which stipulates each manuscript has undergone a rigorous double-blind peer review. The journal will also feature sponsored columns provided by manufacturers to elucidate the science behind their products and to offer evidence of their appropriate and successful use; additional features include Pediatric Wound Care: Asking the Right Questions (case studies illustrating the latest neonatal and pediatric scenarios relevant to this clinical niche); My Scope of Practice (featuring a day-in-the-life of a peer-nominated clinician); Special Report (miscellaneous news of interest); and various opportunities for editorial insights and feedback. Material available exclusively online includes Industry Spotlight and several rotating columns addressing quality and safety, quick practice tips, and case studies. 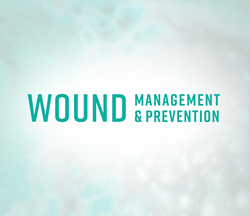 For more information about Wound Management & Prevention, visit woundmanageprevent.com. HMP is the force behind Healthcare Made Practical—and is a multichannel leader in healthcare events and education, with a mission to improve patient care. The company produces accredited medical education events and clinically relevant, evidence-based content for the global healthcare community across a range of therapeutic areas. Its brands include Consultant360, the year-round, award-winning platform relied upon by healthcare providers across 21 specialties; Psych Congress, the largest independent mental health meeting in the U.S.; EMS World Expo, the world’s largest EMS-dedicated event; and the Symposium on Advanced Wound Care (SAWC), the largest wound care meeting in the world. For more information, visit hmpglobal.com.